Bighorn sheep « Nothing in Biology Makes Sense! 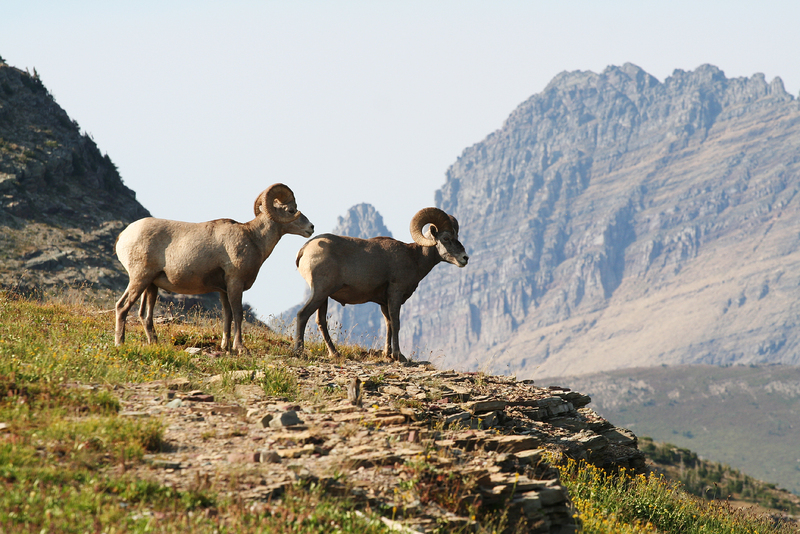 Bighorn sheep (Ovis canadensis) at Glacier National Park in Montana. Photo by Noah Reid. As humanity spreads out over the globe, finding ever more clever ways to domesticate wild landscapes and harness natural processes to its will, many species of wildlife find their natural distributions becoming fragmented. Iconic North American species such as grizzly bears, red-cockaded woodpeckers, and the American burying beetle today inhabit only small fractions of the ranges they occupied only 100 years ago. A result of this fragmentation is that many individuals exist in small, isolated populations. In these populations, a curious phenomenon often emerges, one that can only be understood in light of some basic evolutionary theory. That phenomenon is known as inbreeding depression, and it refers to the decline in average fitness of individuals in a shrinking population. Inbreeding depression is essentially a result of individuals in small, isolated populations being more likely to mate with close relatives. It’s well known that mating with close relatives produces less fit offspring, and the aggregate effect in natural populations is seen as low average fitness and an ensuing low population growth rate. This can be a serious problem in populations subject to conservation efforts because even after protective measures have been taken (removing threats, restoring habitat) recovery can be hindered by inbreeding depression. Inbreeding depression is slightly more complicated than this, however, because it is not consistently seen in all small populations. In some island populations with very small population sizes (such as the Chatham Robin, Petroica traversi) inbreeding depression has not been observed (Jamieson et al. 2006).